The Rebel Sweetheart. : Tiger Airways Philippines | Roaring Loud, Soaring High. Tiger Airways Philippines | Roaring Loud, Soaring High. Committed to bringing its customers its brand of friendly, high-quality service, and excellent standards of security, Tiger Airways Philippines promises to make travel around Asia more enjoyable. 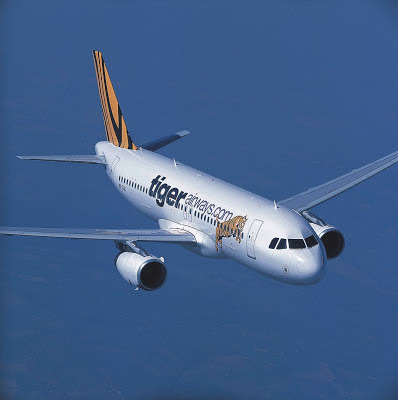 With the Philippines poised to become Asia’s next tiger economy, Tiger Airways anticipates more flights connecting the country to its Asian neighbors – and even beyond, in the coming years. “It’s a niche we are eager and equipped to serve,” adds Tiger Airways’ chief. Currently, Tiger Airways flies to Singapore, Bangkok, Hong Kong from Manila and Clark. Locally, it serves travelers going to Laoag, Bacolod, Kalibo, Cebu, Iloilo Tacloban and Puerto Princesa. Next month, Tiger Airways will add another feather to its cap when it marks a milestone - the Kalibo and Singapore route, the first and only airline to offer such route. “We embrace the simple belief that travel is about bringing people closer to their dreams and about enabling great experiences, and memories,” adds Ramos. The new Tiger Airways Philippines will offer great value and seamless experience. Together with the Filipino personnel’s warm and hospitable traits, the airline will be “the one to beat” in the coming years, she adds. This is a good development as more player in the airline industries means better deals for us. I'm familiar with Tiger Airways, but haven't flown with them yet. Now, I'm curious of what they'll be offering after their formal debut.